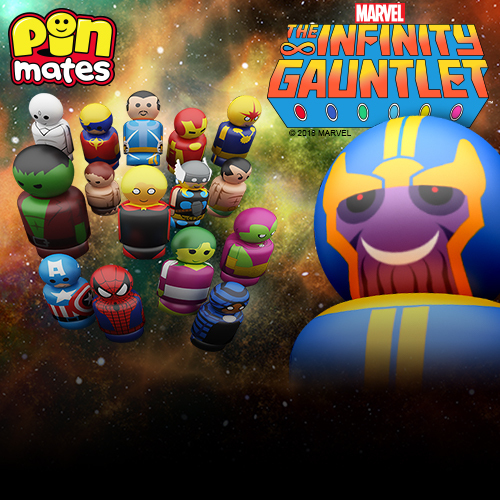 Heeeeeeeeeeeeer’s Dunny! 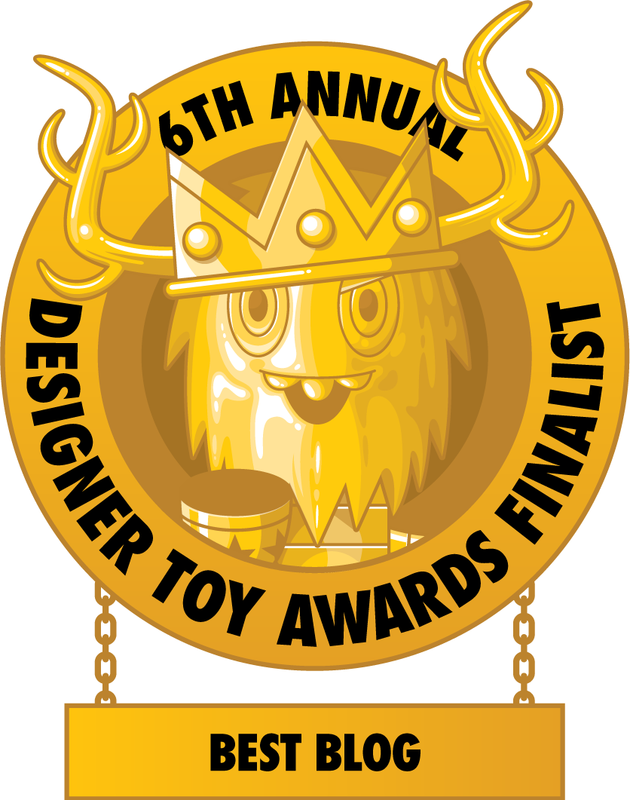 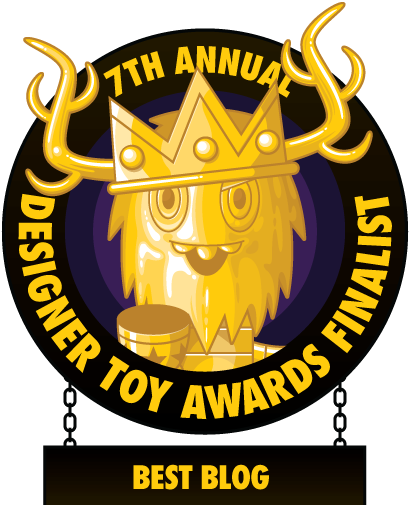 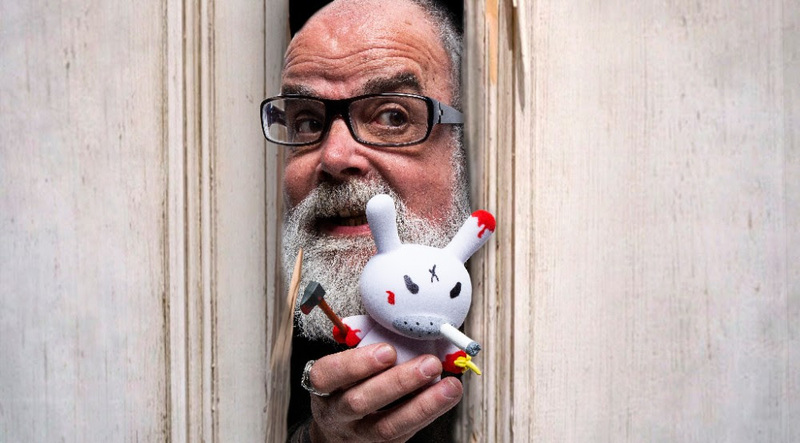 Nearly a decade and a half after the first REDRUM Dunny debuted as part of the first ever Dunny mini series, Dunny Series 1, Frank Kozik and Kidrobot are bringing back this iconic Dunny design in the new 5” scale Dunny platform. The REDRUM 5” Dunny vinyl figure is here to terrorize your collection in an all new size with two different colorways: a Kidrobot exclusive Glow in the Dark Edition and the OG Edition! 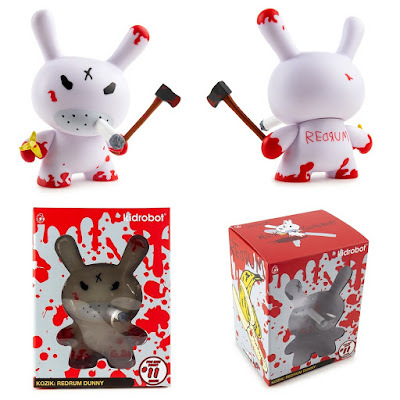 Coming complete with a banana and hatchet, this Smorkin Dunny is ready to take an axe to your vinyl collection because all work and no play makes Kidrobot a dull toy company! 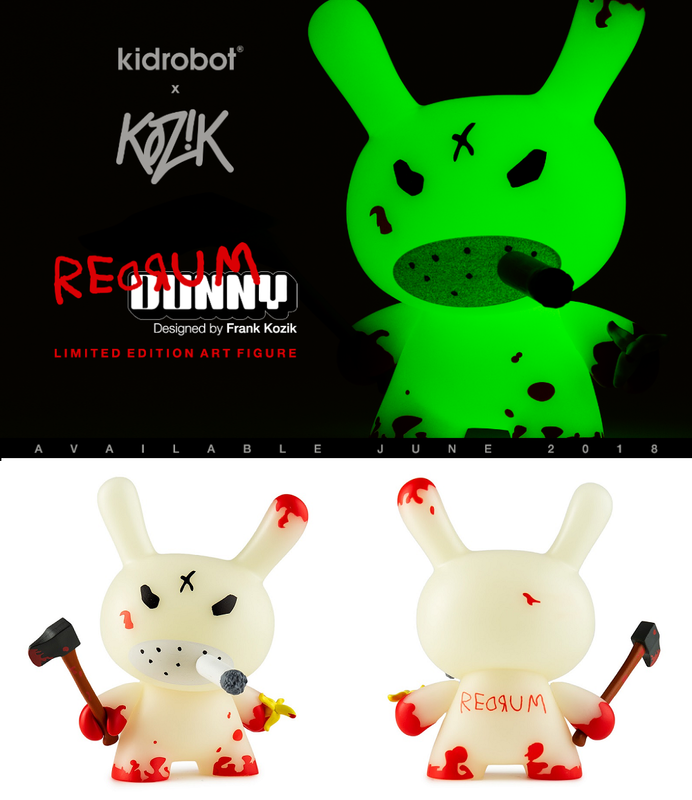 The Kidrobot Exclusive REDRUM Glow in the Dark Edition 5” Dunny is limited to just 250 pieces, while the OG White Edition is limited to 1,000 pieces. 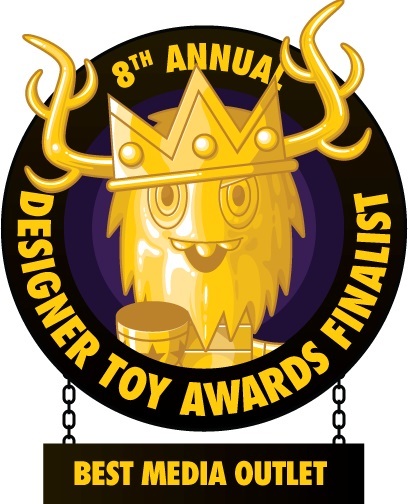 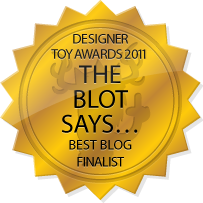 The GID colorway can be purchased now at Kidrobot.com for $39.99, while the OG white colorway can be purchased at Entertainment Earth for $39.99 here.